In court today, the au pair was identified as Simone Muller, a student who was seeking a last-minute transfer in 2010 to Philadelphia University from the Community College of Philadelphia,where she had a 3.75 GPA. On the witness stand, Christine Parker, a foreign service officer for the U.S. Department of State, went through Muller's visa application and identified Herb Vederman as the guy who paid for the au pair's trip to the United States. Christine Greb, Philadelphia University's dean of enrollment management, told the jury that Vederman further promised on visa applications to pay up to $22,500 a year for three years toward the costs of Muller's education at Philadelphia University. 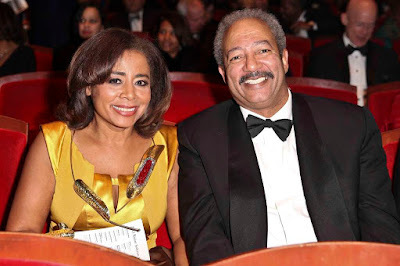 But that was before Bonnie Bowser, Congressman Fattah's chief of staff, sought help from Philadelphia University officials on short notice about Muller's bid to transfer to the university from the community college. By the end of the day, emails were flying around Philadelphia University under the heading of "urgent matter." The urgent matter involved doing a favor for the Fattahs, who lived within walking distance of the Philadelphia University campus. According to John Pierantozzi, the university's retired vice president for development and alumni relations, after he met with Muller, he was so impressed he recommended her for a full scholarship. "I don't meet with every student, but I did meet with Simone," he told the jury. "I thought that Simone was most deserving of a scholarship." Pierantozzi testified that he counseled Muller to change her major, from psychology to fashion industry management, so that she would be eligible for more scholarships. And that's just what happened. Pierantozzi told the jury how Muller won $111,894 in scholarships, and only wound up having to pay some $200 toward her education at P.U. Vederman also got off cheap, according to the government's witnesses. Although Vederman had pledged to pay as much as $67,500 over three years toward the cost of Muller's education, he wound up having to only fork over $3,000. Government prosecutors scoffed at that. In the last moments of court, before the judge sent everyone home for the day, Assistant U.S. Attorney Paul Gray was openly questioning why Vederman wasn't asked to pony up more cash, while implying that the scholarship money could have been saved for more needy students. The au pair story was the new scandal of the day as the Chaka trial began it's third week amidst a courtroom buzz that the government could wind up its case by Friday. That prompted speculation about whether the congressman or any of his co-defendants will take the stand in their own defense. Meanwhile, Fattah has been acting like he's still on the campaign trail, rather than somebody on trial in a racketeering case. At the defense table, the 11-term congressman has been relaxed and smiling, often making chit-chat with Vederman, the co-defendant who sits closest to him. 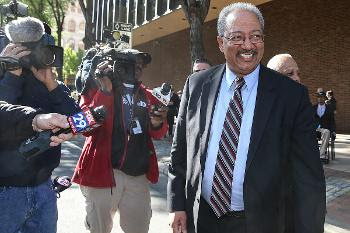 During breaks, and outside the courthouse, Fattah has made more cheerful small talk with reporters and spectators. But during the trial, two former confidantes of the congressman's, Thomas Lidnenfeld and Greg Naylor, have fingered Fattah as the mastermind behind the central act of fraud in the case, an alleged plot to launder a $1 million "loan" from the former CEO of Sallie Mae to pay for the expenses from Fattah's failed 2007 campaign to become mayor of Philadelphia. Fattah, however, didn't appear visibly to break a sweat over the betrayals, or the charges that could send him to federal prison. As the trial grinds on, the congressman seems to have adopted the "What, me worry?" 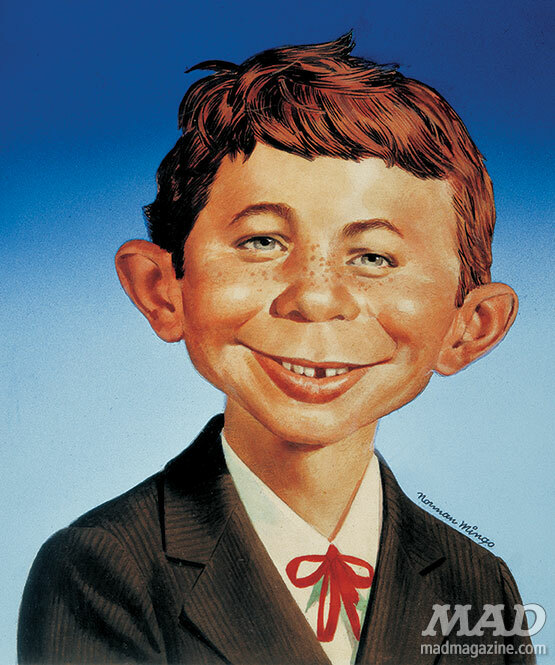 approach originally made famous by Alfred E. Neuman. It seems strange that John Pierantozzi would offer a full scholarship to alien working for a US Congressman and a local newscaster. Why wouldn't a deserving US citizen be given that opportunity? So what exactly is Paul Gray mad about, that Vederman got away cheap or that a larger sum of money would have made for a more substantial case. If John Pierantozzi gave her the scholarship did he receive anything of value, besides a valuable student. I hope the government includes banking transactions that Vederman and Fattah made in South Africa. There had to be some great ops to launder money with families of high placed officials. There probably is an Oprah connection to some education funds. Yes, don't want to help the under privileged.